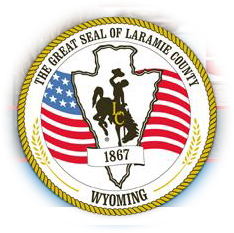 Daycare/childcare facilities having three or more children are inspected for health and safety regulations to meet with the Wyoming Department of Family Services licensing procedures. Child Care Centers (CCC) serving a meal must follow the same food service rules that a restaurant follows. Childcare facilities in homes (FCCH or FCCC) must follow specific food safety rules but not as stringent as restaurants and child care centers. Laramie County schools serving food are also required to follow the same rules as restaurants. Inspections are completed on school cafeterias at least twice per year and on daycare facilities at least once per year. A link to these inspections is provided on this page. Training is an important part in the compliance of food safety in schools and daycares. Cheyenne-Laramie County Health Department strongly encourages continuous training and when possible tries to provide training to help operators meet the rules and regulations. Any school or childcare facility operating in the county on a private water or sewer system will have to meet all applicable rules and regulations. Contact this office for more information. Schools must obtain a State of Wyoming Food License.